This Father’s Day, don’t forget the ‘Dad’ in your life. 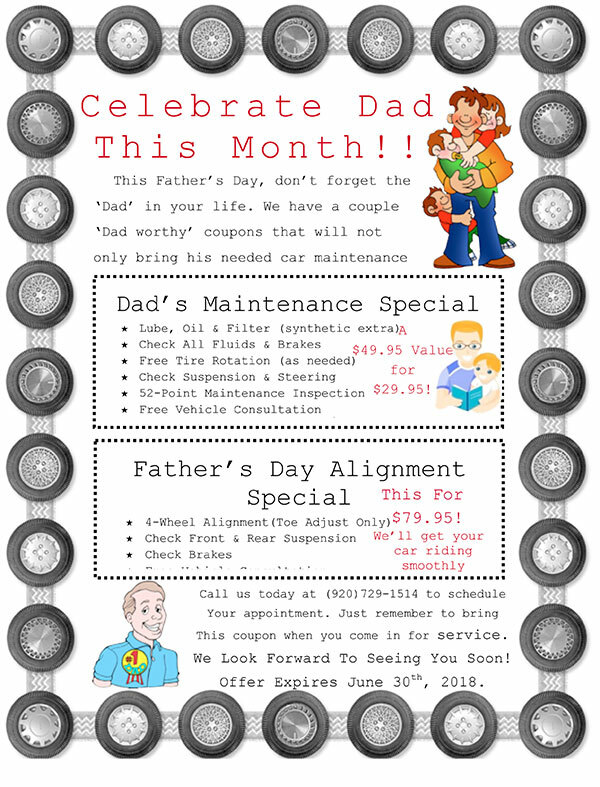 We have a couple ‘Dad worthy’ coupons that will not only bring his needed car maintenance up to date, but also save him lots of money too! Call us today at (920) 729-1514 to schedule your appointment. Just remember to bring This coupon when you come in for service. We Look Forward To Seeing You Soon! Offer Expires June 30th, 20178.